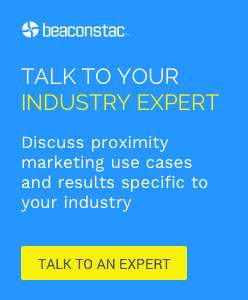 Over the last year, beacons, the low-powered proximity detection devices, which were initially touted as a ‘retail only’ opportunity were leveraged by businesses across various verticals, right from events to banks for proximity marketing. But of recent they have started to make inroads into the personal device marketplace as well. According to Merrill Lynch, the wealth management division of Bank of America, the Internet of Things (IoT) will be the primary driver of global economic growth during the period of 2015-2016. So much so that, the related output value is projected to grow from US$2.7 trillion in 2015 to US$7.1 trillion in 2020, bringing benefits to multiple players in the supply chain, said the world’s largest brokerage. Beacons have definitely played a crucial role in pushing the IoT barrier. So much so that, Bluetooth Smart technology (the technology behind iBeacon) has today become the wireless networking technology of choice for countless scenarios. However, most product or solution designers will agree that they have often found the “maximum range” offered by a beacon to be just not enough. But now there is a solution to this – Mesh Networks. In this post we will talk about the primary limitation posed by Bluetooth Smart technology, how mesh networking helps solve it and two beacons that work on this topology. Beacon range is directly dependent on ‘Broadcasting Signal Power’. Higher the broadcasting signal power, greater will be the range at which mobile devices will be able to pick up the signal and convert it into information. Unfortunately, beacons become less energy efficient on increase in broadcasting power,as it results in faster battery drain. For example, consider situations in which your beacons are required to broadcast over a large space such as a parking lot, or in which you want to collect temperature data wirelessly from the most distant points in your office block. In such cases, you will have to increase the broadcasting power. What is the primary limitation posed by Bluetooth Smart technology? Unlike other types of network, mesh network does not feature a central hub such as a router, a device through which all traffic is required to flow. Instead, mesh networks offer multiple ways to communicate or transfer data from one device to another device within that network by allowing each device to communicate with all other devices in the network. Thus, mesh networks help beacons extend their range while ensuring that they are more energy efficient. 1. Routing: This is an approach wherein a specific path through the network is chosen to communicate data directly from one device to another. 2. Flooding: In this approach the data is sent to every device in range and they, in turn, relay the data to each device they can reach. Thus, the data is relayed from one device to all other devices in the network. One major advantage of a flooding based approach over routing is that it requires less memory and processing power and is therefore more energy efficient. Beacons’ range limitation has been a huge setback for Bluetooth Smart when compared to other technologies such as Wi-Fi. In their efforts to set this straight, the Bluetooth Special Interest Group (SIG) recently announced the formation of the Bluetooth Smart Mesh Working Group that will work towards making mesh networking an extension of Bluetooth Smart by 2016. Instead of just focusing on one specific use case, the group aims to build a common platform. This way, mesh networking will soon become an integral component that helps ensure consumers’ Bluetooth enabled smart locks, lights, HVAC systems, and other appliances work together to deliver a seamless smart home experience. Zuli, is a smartplug that uses proprietary software to create a Bluetooth mesh network. Multiple Zuli smartplugs can together form a mesh network and thus help in extending the effective range of Bluetooth Low Energy (BLE) in your home while getting around interference from thick walls and metal appliances. Another advantage offered by Zuli is presence detection. For example, if you have multiple Zuli outlets spread throughout your home, these outlets which will essentially act like beacons, communicating where a person is in relation to the plugs. This enables interesting possibilities such as using Zuli Smartplugs to detect your presence as you enter a room and automatically turn on the lights. Late last year, Ubudu, a company specializing in location-based mobile technology, announced the upcoming launch of their mesh beacons, called uBeacon Mesh. These uBeacons utilize the capabilities in Bluetooth 4.1 to turn the current generation of location-broadcasting beacons into a two-way, interconnected network. uBeacons can receive a few kilobits of data from the users’ smartphones per second without the need for pairing the phone and the beacon. Also, if one of the mesh beacons is connected to the Internet, the entire mesh network can communicate with the cloud and with other mesh beacons using Bluetooth. We hope that once mesh network becomes mainstream with an extension of Bluetooth Smart by 2016, it will help solve some of the common challenges such as Beacon range limitations.